AT&T can claim mobile 5G leadership with the most city-based 5G networks open. The 5G network needs greater focus by executives to maintain this leadership. The market continues to send a clear signal that focusing on a single business line is the best way to reward shareholders. A better-focused company could easily trade at 11x EPS estimates to hit $40 target. As AT&T (T) continues to launch mobile 5G service faster than competitors, the stock unfortunately languishes around $32 due to a lack of focus on any particular market. The company has yet to prove how the Time Warner merger plays into the 5G network, leading to underperformance of the stock. Due to the minimal coverage areas of most microcells used for 5G wireless networks, the difference between 5G network coverage can vastly differ between the leading wireless providers. None of the companies is releasing any data on population coverage of initial networks. For now, the 5G leader can only be based on the number of cities with a live network. AT&T mobile 5G service is now live in parts of 7 more cities, including Austin, Los Angeles, Nashville, Orlando, San Diego, San Francisco, and San Jose. 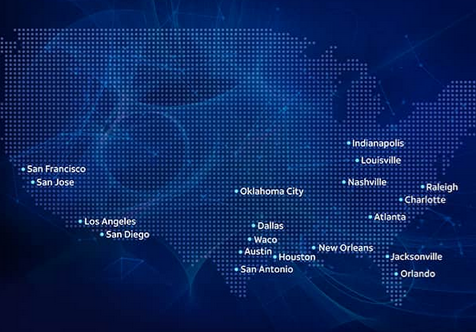 The wireless and media giant now has 19 cities across the nation where AT&T is the only carrier to offer mobile 5G service to businesses and consumers and Chicago, Las Vegas, and Minneapolis coming soon. In the prior week, Verizon Communications (VZ) surprised the market with the early release of only 2 cities, Chicago and Minneapolis, with mobile 5G service. T-Mobile (TMUS) and Sprint (S) haven't announced any open networks yet, so by all accounts AT&T would be the early leader in mobile 5G. This Twitter user probably summed up the best way to view the 5G launches. 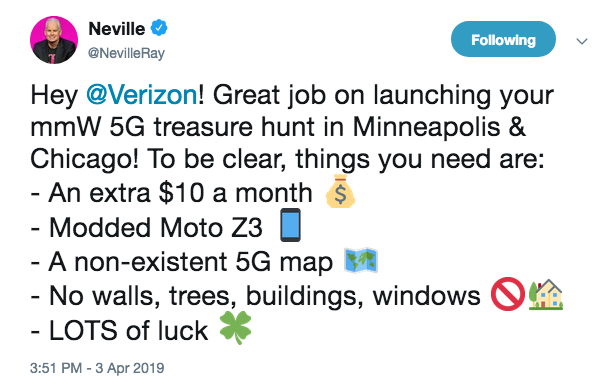 To be fair, Neville Ray is the CTO of competitor T-Mobile, but he does have a valid point that one can't find a coverage map at either AT&T or Verizon websites. 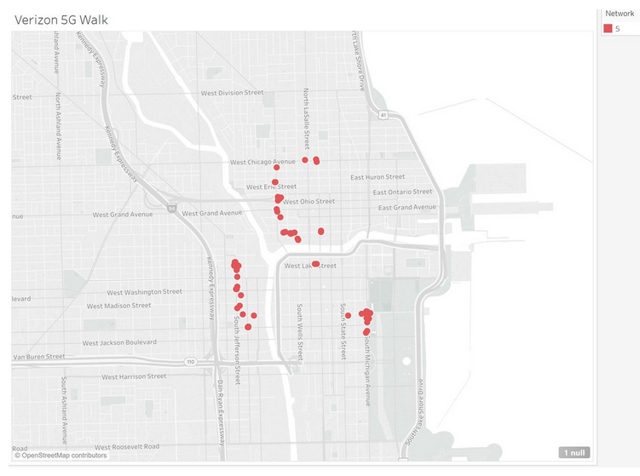 PC Mag provided this detailed article on testing the Verizon 5G network in Chicago. The coverage was so spotty that 5G would only be useful for somebody that wasn't actually mobile. Based on these early tests, AT&T is probably wise to focus on the mobile hotspot for business customers that need mobility, but are rather stationary for a long period of time within the 5G coverage area. My investment thesis that not only does AT&T need to focus on paying down debt is further confirmed by how Verizon has performed in the last year. 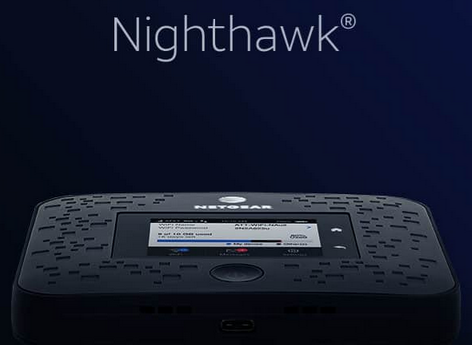 The wireless giant made the decision to pull back from the race in the media space to focus on the wireless network. If M&A drives your strategy you aren’t an effective leader. Everyone wants to talk about who we buy next, but we aren’t going to be tricked into doing something stupid just to play in a game driven by ego. Vestberg was announced the CEO on June 8 last year. He didn't start until August 1, but Verizon has seen a solid return during the period starting with his announcement. The stock action in comparison to AT&T is ironic because the company closed the deal with Time Warner on June 14. The price action in the two stocks is clear about what investors prefer. For this reason, the wireless and media company needs a new leader at AT&T that makes a definitive statement regarding a debt reduction, wireless network focus going forward. 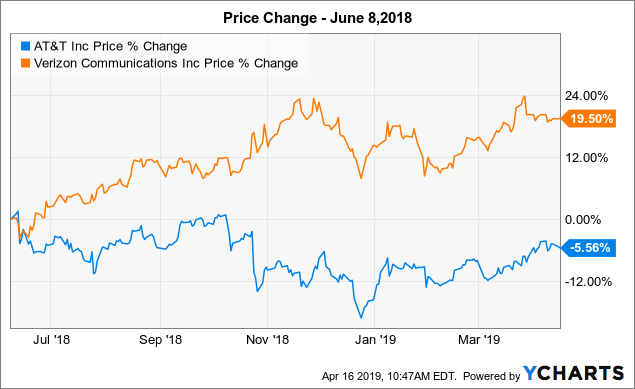 Verizon has far outperformed AT&T since this leadership change last year placed them on the track towards a central focus on 5G. The ironic part is that AT&T actually has more city-based networks up and running, though the company hardly focuses on 5G and will need to become more aggressive to keep up with Disney (DIS) in the video streaming space. Disney surged 11.5% on Friday following its video streaming event. Disney Plus will launch Nov. 12, 2019, at $6.99/month, with an annual option of $69.99. Per the CFO, peak operating losses should come between 2020 and 2022 with profitability not coming until fiscal 2024. Naturally, all of these plans by Disney are problematic for AT&T trying to serve multiple sectors with no discernible advantage of being in both. The 5G network and customers will utilize and want access to Netflix (NFLX) and Disney Plus more than the WarnerMedia options like HBO. AT&T just exited the Hulu position for $1.43 billion and reportedly is looking at selling HBO Europe. A couple of moves that just cements that the wireless and media giant doesn't have a grand plan for the media segment to remain a leader. AT&T continues to shuffle the deck without a lot of strategy that points to being anything other than an also-ran behind Netflix (NASDAQ:NFLX) and Disney with the main service having an unsustainable price point at $15. The key investor takeaway is that the market continues to send a clear signal that a single corporate focus is well rewarded. AT&T has some initial signs that the wireless giant could claim mobile 5G leadership, if the company wasn't so focused on the media empire. The additional 25 percentage point gains of Verizon since last June alone would easily place AT&T at my price target of $40. Remember that the stock would only trade at ~11x EPS estimates so the goal is easily achievable with a market convinced that AT&T management isn't going to do anything other than build on the existing businesses and pay down debt.